Stak-N-Store Wire Systems | The Rembert Company Inc. 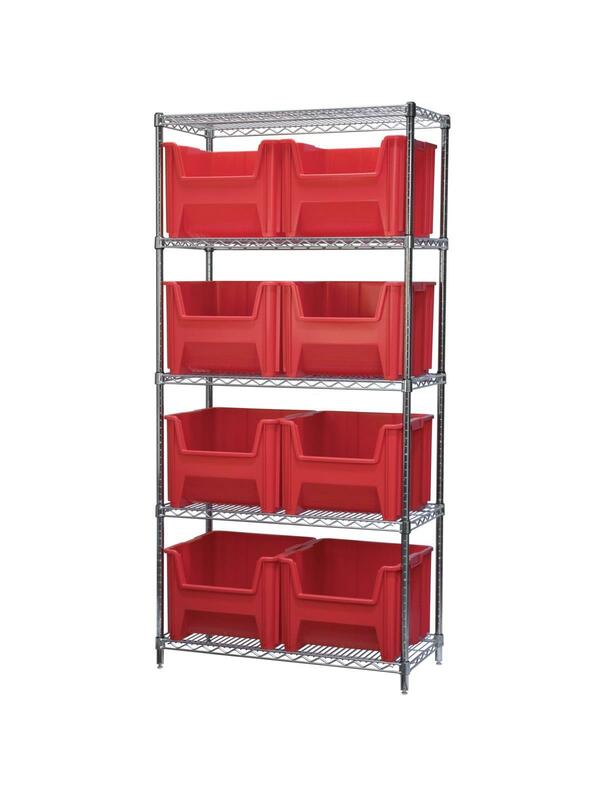 Maximize space utilization - ideal for bulky items. 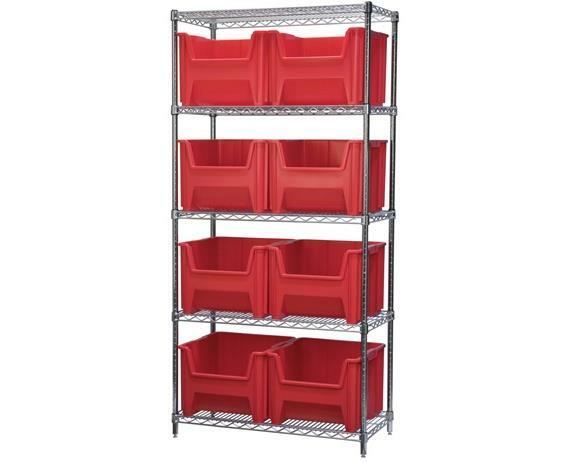 Available with shelves and comes with 8, 9 or 12 bins. Bins feature a wide hopper front for easy access. Bins available in Blue, Red, and Gray. FOB Shipping Point. Sort parts to increase efficiency. Reduce dust and dirt build-up on parts. 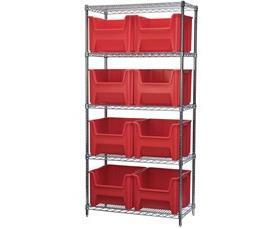 See Related Items tab for Stak-N-Store Bins. 17-1/2 x 16-1/2 x 12-1/2"17-1/2 16-1/2 12-1/2"
18 x 36 x 74"18 36 74"